The Stone top features a hybrid construction using a Smart Blend COTTON fabric combining the soft comfort and moisture absorption of COTTON with the fresh feel and easy care of polyester, and an excl usive jacquard mesh providing maximum breathability and style. Its X Fit utilises anatomical shaping, body mapping and fabrics properties to enhance motion and performance by minimizing excess bulk. 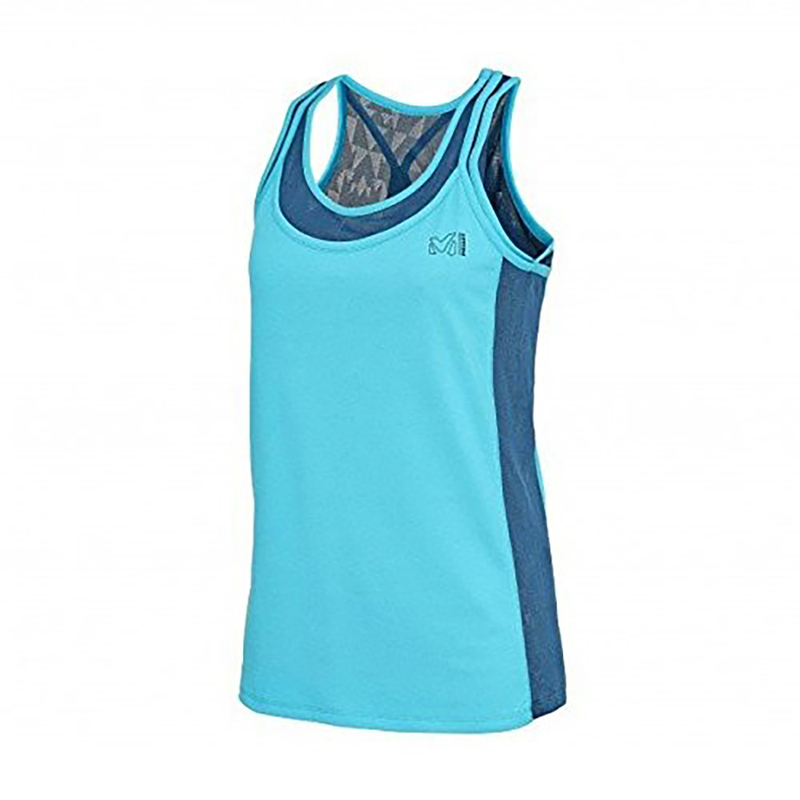 This top features an inner support piece for the best comfort in action and the two pieces are actually detachable, so you can wear just the inner top while you climb the warm days away. This top is ideal to wear on cliffs and boulders on hot summer days.